Volunteering is a wonderful way to give back to your local community. There are many ways to volunteer but one in particular that seems to be very popular today is volunteering as a Therapy Team with your dog. At Dog Works Training Centers, we get countless calls and inquiries monthly regarding individuals interested in certifying their dog as a therapy dog. Many times, the individual is taken aback once they learn what it takes. You see not every dog can or wants to work. Not every dog has the temperament or drive to make itself available emotionally and physically to strangers in new unfamiliar environments. That being said Dog Works Training Centers offers many different levels of Therapy Team training. Including temperament testing and recertification training, we are familiar with the practices and testing requirements of Delta Society (http://www.deltasociety.org), Therapy Dogs International, Children’s Hospital, and S.A.R.A. therapy team certification. If you are thinking about volunteering with your dog and becoming a therapy team take some time and research your endeavor. Ask at the local assisted living homes, hospitals, schools, and libraries if they utilize this service and what certification they are looking for. There are also several private therapists, in home care businesses and enrichment programs that utilize therapy teams. Your local dog trainer is a great resource and I would recommend starting with a trainer who is certified or experienced in therapy training. Training recommendations for therapy dogs; basic obedience, Canine Good Citizen, a form of public access training, and proper socialization with people and outside environments. 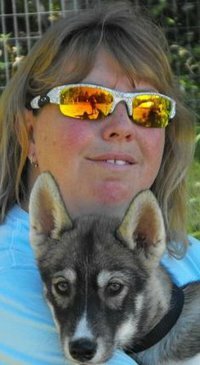 Michele Forto is the Denver Dog Training Examiner, the lead trainer at Denver Dog Works and the co-host of the Dog Works Radio Show. Believe it or not your puppy can get bored! How can that be? My puppy has baskets full of toys in the house and outside. I take my puppy on two walks a day and spend time with him in the evening. When I’m asked to come to a client’s home to help them when their puppy has been chewing the furniture or is urinating from excitement or isn’t able to quiet down the first thing I observe is that there are too many choices. I recommend just five toys and activities. I have found that this keeps the puppy interested and keeps the family interested. With all of the choices out there in the big box stores its no wonder we buy too much for our puppy. We are sucked into the marketing skeem and the guilt ridden commercials with the cute and cuddlies with big brown eyes. Truth be known, puppies will seek out items that feel good, taste good and make their teeth feel better. They like chewing on the table legs and door jams because wood, although hard is also chewy and soft in a dog’s mouth offering just enough give when they sink their teeth in. Puppies seek out shoes, socks, and other unmentionables because truth be known, they smell like us. The following are the toys I recommend for medium to large breed dogs – remember a puppy will only entertain himself for so long. I also recommend that you incorporate obedience training into your games with your puppy. This challenges them and makes the playtime more interactive. 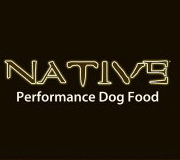 My name is Dr. Robert Forto and I am the training director of Denver Dog Works and Alaska Dog Works. I am asked all the time about holiday do’s and don’ts from pet owners. While I always offer an article right around Christmas about training Christmas puppies I thought it would be wise to offer some tips to pet owners on holiday safety before the season’s festivities reaches a crescendo. While most of this is common sense, it is the little things that we overlook during this busy time of the year that can turn a joyous season into a nightmare for your pet if you do not take some steps to ensure their safety. Firmly secure the tree in its stand, and consider wire or twine ties attached to the wall to help secure the tree. You’ll want to make sure the tree doesn’t topple over if, or more likely when, kitty tries to climb the tree. Dogs and cats will often try to drink water from the reservoir in the stand. The sap from the tree itself may irritate your pet’s stomach, and preservatives added to the water may be toxic. Devise a cover to fit around the base of the tree—even a towel wrapped around the trunk covering the stand will do. Research also shows that the chemicals used in producing artificial trees contain chemicals that can be harmful or even fatal if ingested by your pet. While there are many pro’s and con’s to having a natural versus an artificial Christmas tree, this fact alone should make the decision a little easier. Ornamentation is very attractive, especially to kittens, cats and puppies, but may be deadly. The tinsel, ribbon and glitter can cause intestinal blockages. Protect your pet by placing these items high enough to be out of reach. Packages under the tree may offer the same threat—the ribbons are just too hard to resist, and your pet may end up chewing on them while playing. Holidays are the time for lots of baking, and receiving of baked gifts. These items smell just wonderful to your pet. Your dog may help himself to the candy, cookies, or part of the holiday meal if you are not looking. Eating people food may lead to indigestion, diarrhea, or worse. Remember, items containing chocolate can poison a dog, even if it is a small amount. 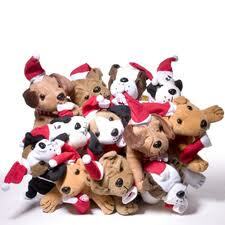 Remains of the holiday meal left on countertops, tables, and even in the garbage will entice your pets. If there is a way to get to it, be assured your dog will certainly try. Bones from turkey, a roast, or ham may splinter if eaten. Older garbage may even contain enough bacteria to poison a pet. Be careful where the trash is held while waiting to be disposed of. Plants, especially poinsettias, are often used for decoration in November and December. Some of these plants contain toxins that can irritate your pet’s gastrointestinal tract if chewed on or eaten. Eating enough of some plants may poison your dog or cat. In some cases it may be the leaves, in others the stem, berries, or roots. Your veterinarian or behaviorist can help guide you, or you can do a bit of research at the library or online to see if any of your holiday plants may be harmful to your pets. On Christmas morning when all of those toys are being played with (and soon forgotten, I might add) they contain many hazards for pets. Small toys, balls, marbles, board game pieces, BB’s from the Red Rider BB gun with the compass in the stock that your son just had to have!, and electric cords are all dangerous to your cat or dog. Taking a few minutes to set some family guidelines and spot potential safety hazards could keep this holiday season from having serious consequences for your four-footed family member. 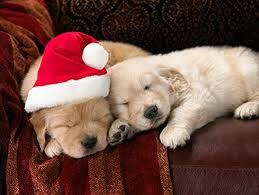 In the coming weeks Dr. Forto will be publishing and article on training Christmas puppies. 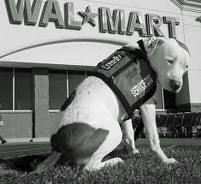 His position is that you should never give a puppy for a Christmas present but thousands are given as gifts each year. In this article Dr. Forto will discuss when to train your dog, how to properly care for him and who should be in charge. Just remember that shelters are full of dogs that were once bundles of Christmas morning joy that grew up too fast and were not trained. Dr. Forto and his certified trainers at Denver Dog Works are here to help. This article is provided as a general overview of the topic. Always consult your veterinarian or behaviorist for specific information related to diseases or medical care for pets. Do you have family coming in any day now for the holidays? Do you need a quick training tune up for your dog? At Denver Dog Works we are offering a limited time special from December 10-20 ONLY! Two training sessions for 50 Bucks! Contact Michele today at 303-578-9881. Hurry spots will fill up fast! In this series we will profile breeds registered with the American Kennel Club to give dog owners some ideas of what to expect of their dog. At Denver Dog Works we work with a network of breeders and with 20 years experience and training thousands of dogs we can help the new dog owner choose a breed that is right for you, your family and lifestyle. Trainers Note: Known for years as the Jack Russell Terrier (and still called that by many) is a breed that was made famous in the TV show Fraiser. Eddie was such a lovable little dog in that show and unfortunately it did not showcase the breed as they are in “real” like. The Parson Russell Terrier is just that, a terrier, meaning high energy and high and some will say high maintenance. These little dogs will require a lot of exercise and a lot of training. The Parson Russell Terrier is a true working fox hunter, possessing a ready attitude, alertness, confidence, and great strength and endurance. Today, many Parsons are also found working in stables and exhibiting at agility and obedience trials. The breed’s weatherproof coat can be broken (wire-haired) or smooth and is white, white with black or tan markings or tri-color. Named for the respected huntsman Rev. 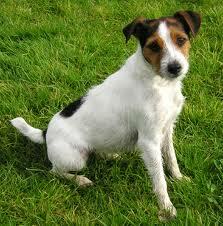 John Russell, the Parson Russell Terrier was first bred in the south of England in the mid-1800s to hunt red fox. Traditionally, the Parson followed the fox underground to flush him out for the hunter. Authorities claim that after Rev. Russell’s death some of his bloodlines were crossed with the Welsh Corgi and other terrier breeds, creating a different type dog, the “Jack Russell Terrier.” The parent club for the breed requested a name change from Jack Russell to Parson Russell Terrier. Outgoing and friendly, the Parson is tenacious in the field and affectionate in the home. No matter the venue, the breed is filled with energy, so he requires regular exercise and attention. Although good with children, he does not tolerate rough handling from toddlers. The Parson is a clean breed and does not need frequent bathing, but the broken coat may need to be hand stripped. If you are considering purchasing a Parson Russell Terrier puppy, learn more here. Terrier Group; AKC recognized in 1997. Ideal size 13 to 14 inches tall at the shoulder and 13-17 pounds. Trainers Note: The bloodhound is a great breed of dog. Many of you have seen these dogs in action on the movies doing search and rescue and scent work to track down missing people. The bloodhound is highly intelligent and requires a great deal of training to work in a search and rescue capacity. Described as a “unique looking dog in a baggy suit,” the Bloodhound is one of the oldest breeds of dogs that hunt by scent. Although affectionate, they can posses shy natures, sensitive to kindness or correction by their master. 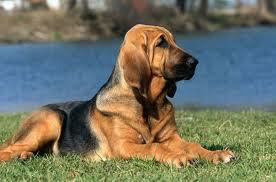 Colors of the Bloodhound include black and tan, liver and tan, and red, sometimes flecked with white. The actual term “Bloodhound” refers not to what the Bloodhound trails but instead refers to its status as the “blooded hound,” meaning aristocratic, since such great lengths were taken early on to keep the strain clean. Learn more about purchasing a Bloodhound puppy.